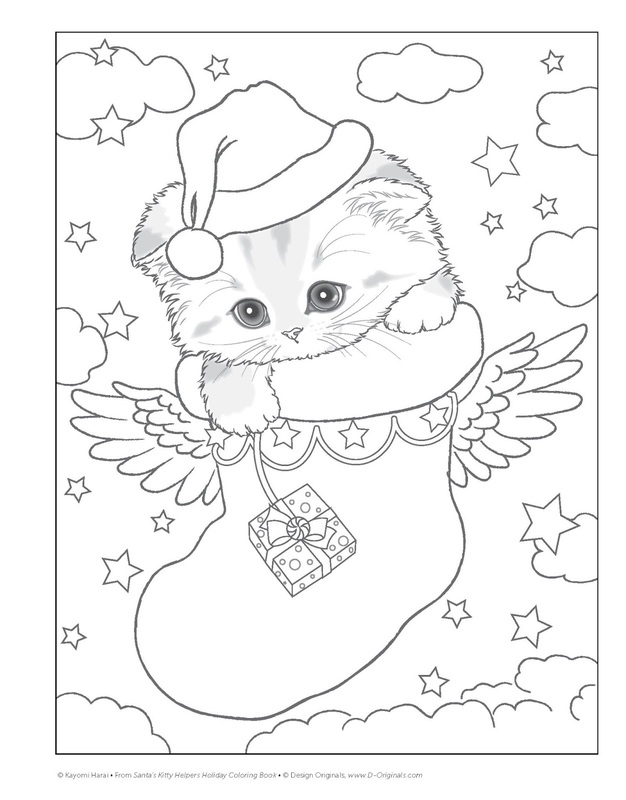 If you love cats and you love Christmas, get ready for hours of relaxing creativity! 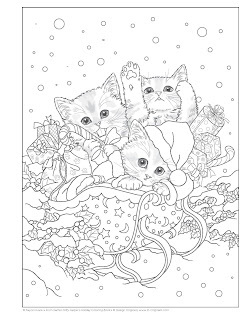 The expressive-eyed furry friends depicted in the artistry of acclaimed illustrator Kayomi Harai have a wonderful way of capturing hearts. 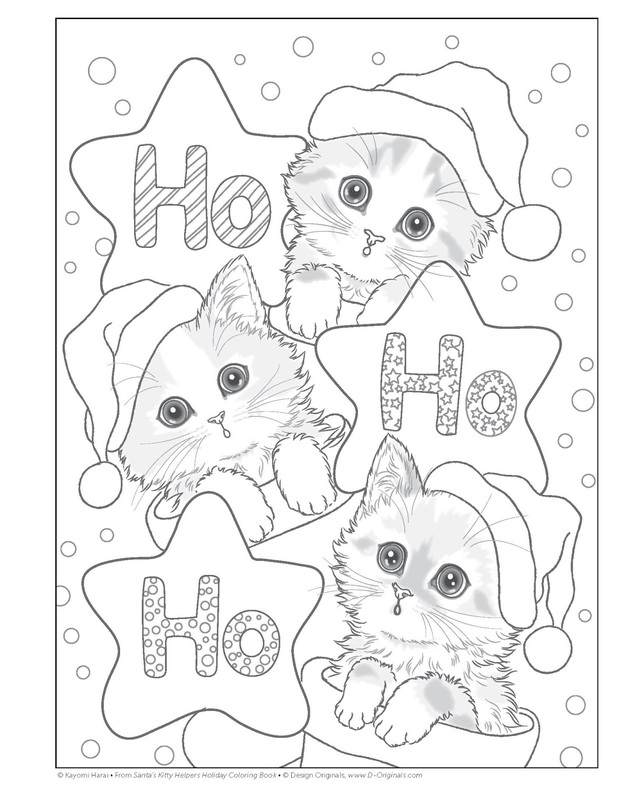 Now her delightful felines are even melting Santa's heart in this adorable Christmas coloring book. 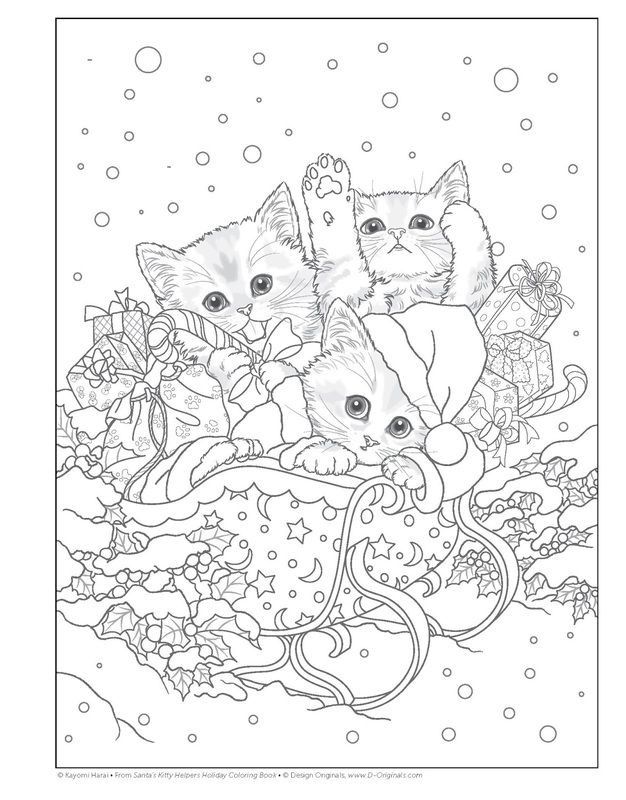 Kayomi presents dozens of festive yuletide kitties, ready to color with markers, colored pencils, watercolors, or gel pens. 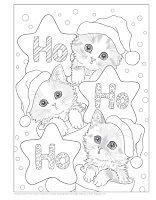 (Readers will recognize these same black & white coloring pages from Kayomi's higher-priced Santa's Furry Helpers Holiday Coloring Book.) 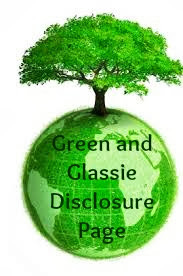 Each design is printed on one side only of archival-grade, acid-free, 200-year paper. Each perforated page detaches easily for gifting or display. 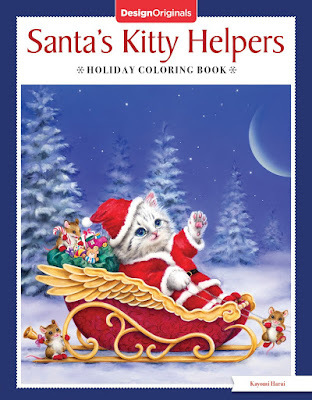 I plan to give Santa's Kitty Helpers - Holiday Coloring Book to my granddaughter as a gift for Thanksgiving. A perfect way to start the holiday season. 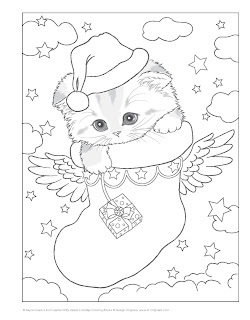 Perfect gift for the coloring lover on your holiday list.